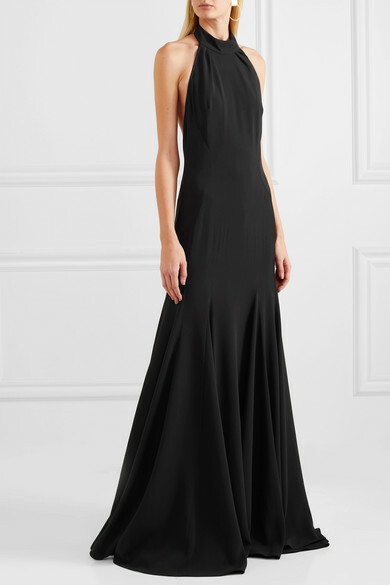 Stella McCartney's halterneck gown is fit for a princess - the Duchess of Sussex wore a white version of this gown to her wedding reception at Frogmore House in Windsor. 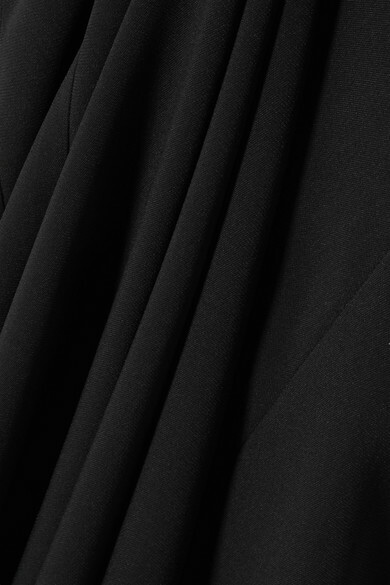 Expertly made from black stretch-cady that's designed to hug your curves, it drapes elegantly into a pleated floor-sweeping skirt with a long train that will glide behind you. Show off the open back by styling your hair into a tousled updo. Shown here with: L'AFSHAR Shoulder bag, Gianvito Rossi Sandals.